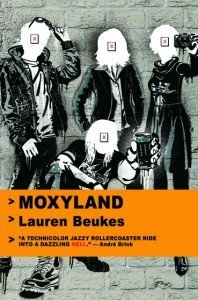 The winner of Lauren Beukes's Moxyland is Travis from SLC, Utah. Congrats! Look for another contest later this week as I continue to clean the shelves a bit. Wow. I won?!!! Seems like I've been looking forward to this book for ages. Thanks! Glad it is going to a good home!